Add poha in a colander and wash under running water. Set it aside for 5-6 minutes. Take soaked poha in a mixing bowl and mash it liitle bit. 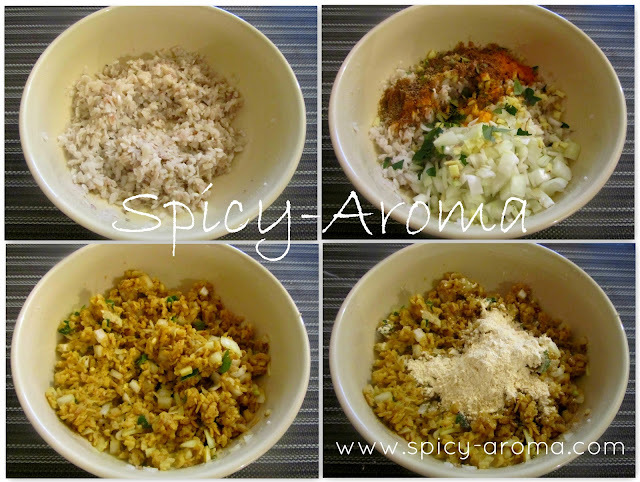 Add chopped onion, green chilies, ginger, roasted cumin powder, turmeric powder, garam masala, pinch of asafoetida, carom seeds, and salt to taste. Break the curry leaves into small pieces and add into mixture. Mix this up really well. Then add little besan and rice flour at a time and mix till it gets dough like consistency. Take a small ball on your palm and flatten it little bit. Make a hole at center. Follow the same procedure and make rest of the vada. Deep fry them on medium heat till they get nice brown color on both sides. Serve fritters hot with tomato ketchup or any chutney. 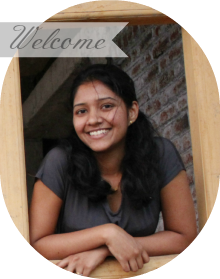 Hi Poonam, Happen to stumble upon your blog & am glad I did. You have a great blog with such amazing pics. 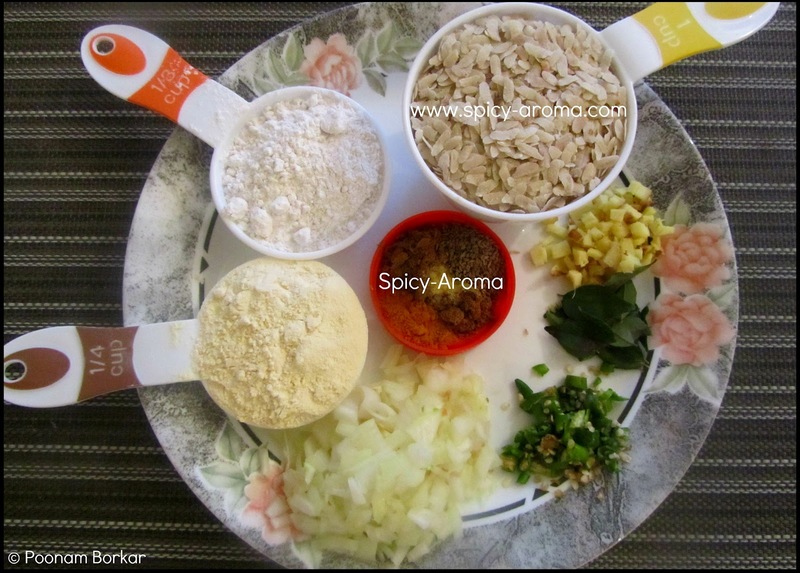 Poha vada looks yummy & liked the idea of shaping it like medu vada. 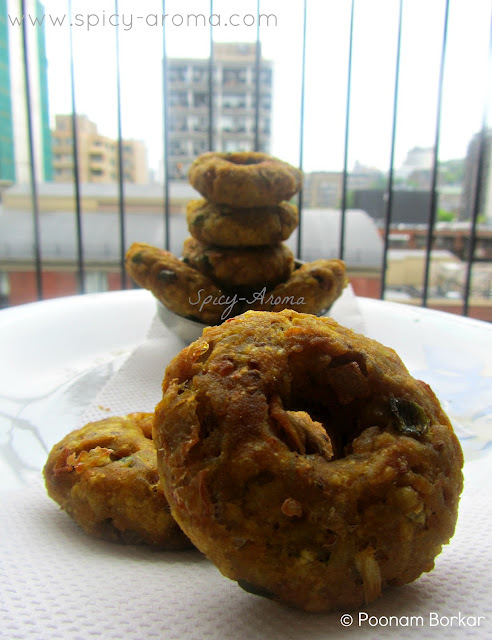 Super crispy and irresistible vadas, feel like munching some. 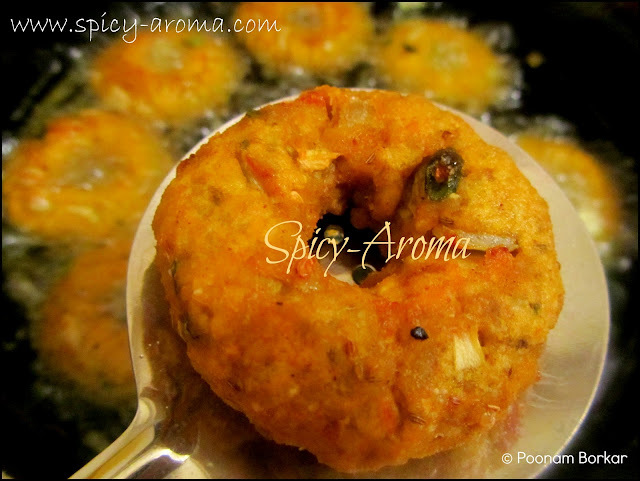 so crisp and tempting..loved this quick version of vada with easily available ingredients .loved this! 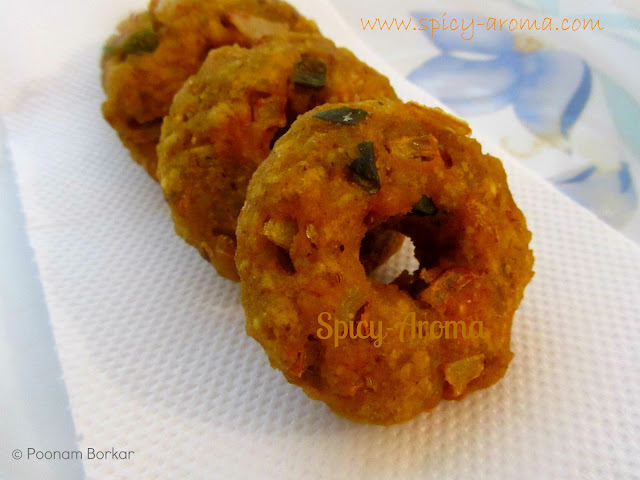 Very crispy and yummy vadas, nice idea doing it with poha..
Lovely vada. It is innovative and is perfect.